Hamilton, Ohio based Wraith Games is the company behind the upcoming Physix, Collapsus, and Jet Pack Hero soon to be released on the Nintendo Wii U eShop. 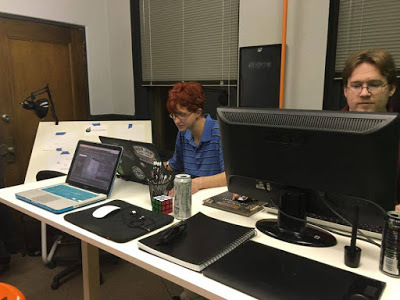 Jay Kidd, the founder of Wraith Games in Hamilton, Ohio, started getting into game development in high school. He knew that he wanted to make games ever since he was 9 years old and first played the Super Nintendo Entertainment System. Since he didn’t really understand what it meant to “make games”, Jay jumped into all of the aspects of game development. He started studying programming, art, design, and even the business side of things. Without proper guidance, he tried to do it all at once! We sit down with Jay (across the internet) to find out more about his journey into the world of game development. NLA: Tell us a about Wraith Games. How did it all begin? Jay: It all started back in 2005 when a bunch of my friends and I just figured it would be cool to make games together. None of us really knew what we were doing at the time and most of the games didn’t make it past the first few months. Right now, though, it’s not looking that will happen again anytime soon. We all work pretty well together, now that we’re an actual business nearly a decade later. NLA: How big is your team? Jay: Currently, we’re a team of around 10 developers: programmers, artists, designers, modelers, writers, and the like. Most of us wear multiple hats. It’s really nice to be able to work with a fairly small team. We’re all friends outside of work, so that really helps. We really “get” one another and that shows in our projects. 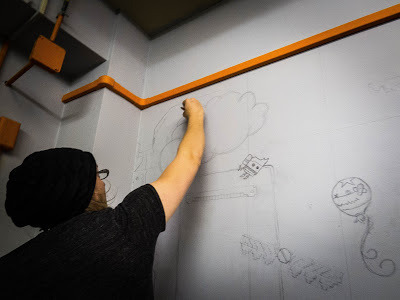 We’re making the things we want to play and making them how we’d want to see them made. No compromises. NLA: By the looks of it, Physix appears to be your biggest title yet. Give us a little backstory on how that game came about. Jay: We started working on the prototype that became Physix back in 2008. This was before we officially picked the prototype of our other big game, Collapsus, back up. It’s not uncommon for one of us to come up with a crazy idea, make some sort of terrible prototype of it and then have the rest of the team make a real game out of it. Physix and Collapsus both started that way. NLA: And what was Physix like originally? Jay: Physix was pretty different back then from what it became; that’s for sure! Before we even really started working on its prototype we were working on first person, point and click mystery game. A good majority of the code was centered around a dynamic dialogue system similar to what you’d see in, like, an Elder Scrolls game. That way you could interrogate people and try to suss out clues from them. It was a pretty cool idea, but working on it was tedious to say the least. NLA: And how did the shift in gameplay come about? Jay: While getting frustrated working on that, I picked up a nearby chair in the game and tossed it at a character I was using for testing. It just bounced right off of him because he wasn’t programmed to do anything other than talk. I realized then that just messing around with the physics engine was far more interesting than anything else I was doing with the game. After a while of just messing around by tossing more things at more characters and dropping things down stairs, I started adding little physics based puzzles from there. After playing around with it a bit, it was my brother who suggested adding an antigravity element to the re-existing puzzles. The rest just kind of sprang up from there. NLA: Wow! That is quite the turn. Where did the game go from there? Jay: After that, in 2009, GamePro magazine had decided that they wanted to get into the fairly new market of indie game publishing under what they were calling GamePro Labs. They ran this huge contest looking for the best indie games they could find. They go thousands of submissions and ended up choosing about 10 of them. Thankfully that early Physix prototype was chosen! IT felt like a dream come true. Sadly, the next year the magazine closed and with it, Labs. NLA: So what did you do next to keep the project alive? Jay: After that we turned to Blitz Games Studios’ Blitz 1Up program, who were very receptive to the project. By a strange turn of fate, they shut down before we could strike a formal deal. NLA: Wow, you guys were literally a wraith for these companies. Jay: Things still looked up though since self publishing was a more viable option after 2011. Luckily, there’s no way that we’re going to take Nintendo or Valve down when we release our Wii U or Steam versions. We hope not, at least! NLA: What became your inspiration for Physix after that change in direction? Jay: A lot of the design sensibility really comes from the game Portal. Back when we first started working on Physix, Portal was the only first person puzzle game out there. A lot of what we started doing after I got the rest of the team on board was based off of what we saw there; subconsciously at least. A friend of the company was the one to make the Portal connection, so we decided that we should take it in a different direction. Of course, since then there were tons of first person puzzle games made, including Portal 2. NLA: How have you differentiated Physix from Portal? Jay: Early on we followed the well trodden Portal path. 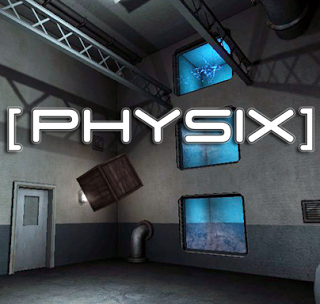 Physix was still a “go to this chamber, complete this puzzle, move on” type game. So, by seeing these other games pass by, we realized that we needed a change. We started focusing far more heavily on narrative, for instance. One of the things we noticed is no matter how hard these games set out to have an interesting story, that story was always there to facilitate the gameplay first, rather than working in tandem with the gameplay to make a bigger whole. We wanted to make the gameplay fee more organic. NLA: Can you give us some launch details for Physix, Collapsus, and Jet-Pack Hero? Jay: We’re trying to get Physix done as quickly as we can. We’re trying for a 2017 release, however. Collapsus is much easier to pin down, thankfully. We’re launching a Kistarter to finish itup (along with free, online weekly builds) sometime in April. The Greenlight campaign will launch shortly after that. This should lead to an official release this summer! Jay: That release date is even more nebulous. We have a couple smaller mobile and we releases that are coming out between Collapsus and Physix, and JPH will be released either before or after Physix, depending which we get finished first. We know that is an unsatisfactory answer, but we want to make sure we have the best games we can before announcing a launch. NLA: Which platforms will they be launched on? Jay: All of our games will be released on Nintendo consoles! We’re releasing all three games on Wii U at the time of the other launches (PC, Mac, Linux, iOS, Android, Fire, Windows Phone, Web, etc) and we have a 3DS version of Collapsus being worked on as well. NLA: What does the future have in store for Wraith Games? Jay: We just want to keep making games! We have some plans for some minor expansion, hiring two or three more team members, but other than that, we want to remain as a small studio. It’s easier to keep a clear vision that way. We do want to up the scope of our releases though. We already have some bigger games planned after our current release schedule clears up! Things are going to get very exciting around here pretty soon! Look forward to the future releases from Wraith Games. We are sure to see a lot of amazing things out of this company. For more information on Wraith Games, check out their website, or follow them on Twitter. They also share a lot of interesting content on Facebook! Do you want to know more about Wraith Games? Leave your questions in the comment section below! Mark Ball is the editor for Nintendo Love Affair. He also spends his days teaching and adventuring while refusing to lose his childlike sense of wonder.